Constructo's new Intermediate Level plank-on-bulkhead kit features high quality plywood and exotic African hardwoods, all pre-cut for easy assembly. A huge fittings assortment includes ready-to-use wooden blocks, deadeyes, stanchions, capstan, windlass and grating strips. 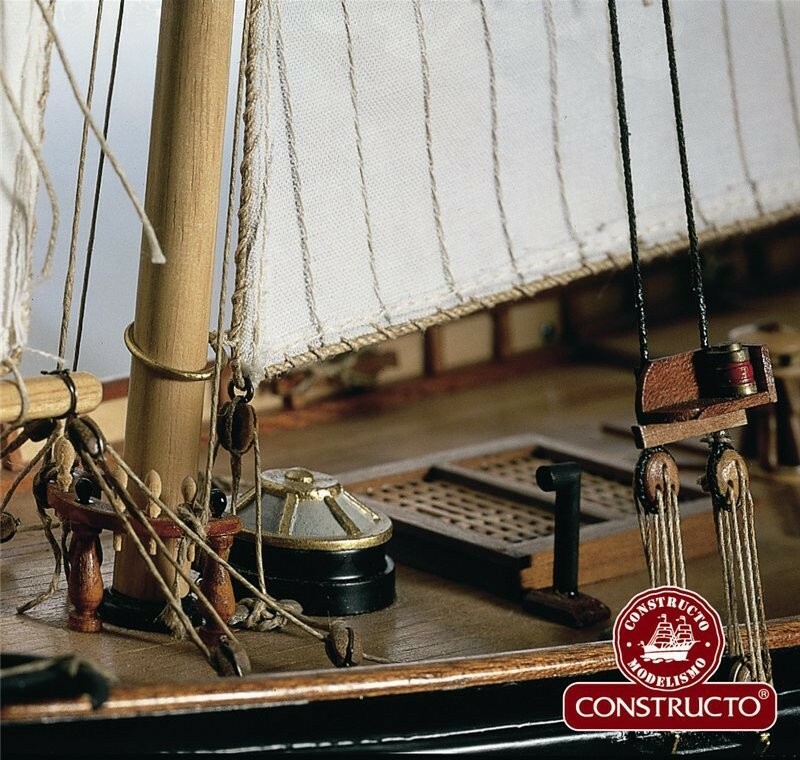 A variety of brass parts consists of rudder hinges, rail, nails, rings, eyebolts and chain. Belaying cleats, life buoys, anchors and other parts are cast metal. Three diameters of rigging line, sailcloth for a full complement of sail assure authentic rigging. Three sheets of large, easy-to-follow plans and step-by-step instructions help you build this classic masterpiece. During the early part of the 19th century the British had established a reputation for ocean yacht racing. 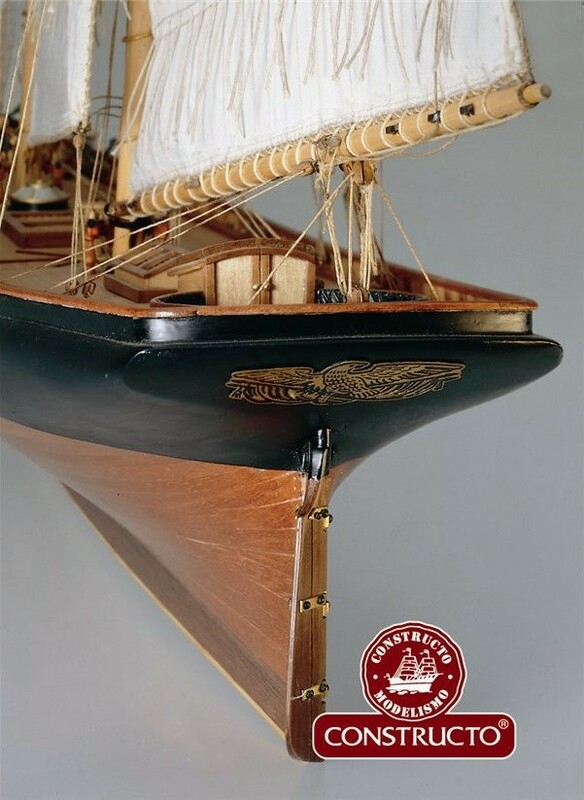 America's oldest surviving yacht club, The New York Yacht Club, under Commodore John Stevens, decided to build a fast racing schooner which they would take across the Atlantic to challenge British yachting supremacy. 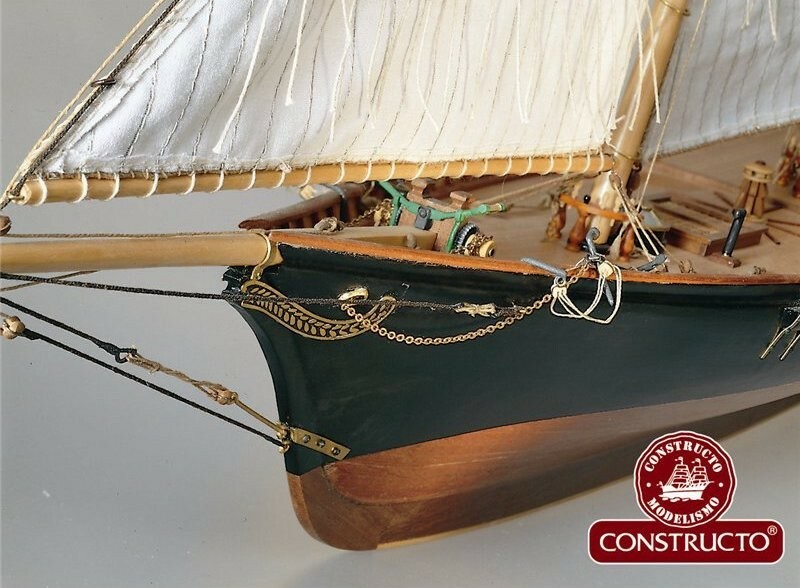 The club engaged a young designer, George Steers, who had developed a reputation for fast sailing craft known as pilot schooners, whose fortunes depended upon their ability to race out to and reach incoming vessels first and then to guide them to safe harbor. 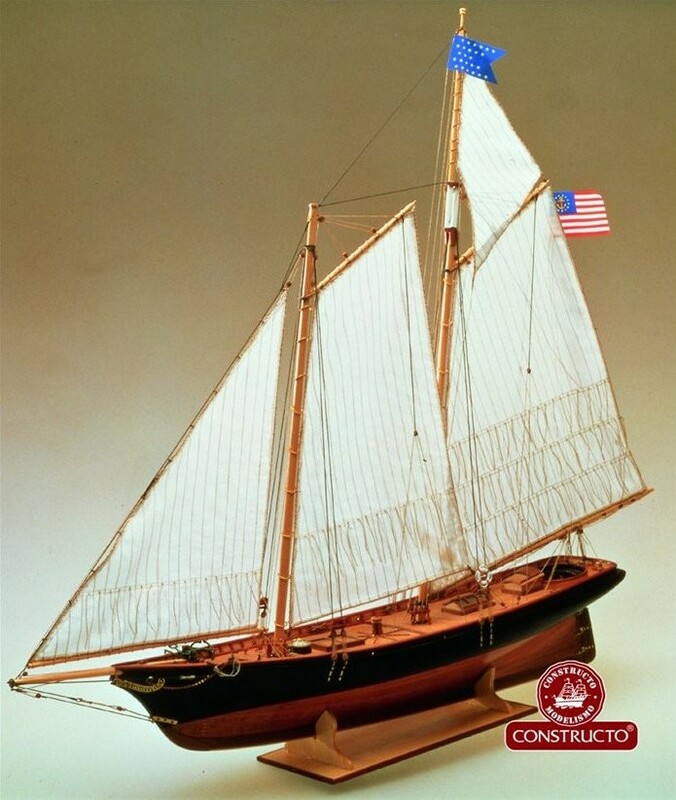 Steers modeled his new yacht on the pilot schooner "Mary Taylor", but made it longer, slimmer, and capable of carrying more sail. She was delivered in May, 1851, and was beautifully proportioned. At 171 tons, she was 89 feet long at the waterline, 22 foot abeam, and possessed an 11 foot draft. Her masts were raked sharply aft and she carried over 5000 square feet of canvas. She was named the America.